My son who is six has ADHD. I also have a three year old who doesn’t have ADHD. I always knew something wasn’t quite right when he was about three years old. He got diagnosed at age five. What I find challenging is the public school system and how there is a lack of awareness and lack of resources in schools. And I think partly because most don’t take ADHD so seriously unless you have a personal connection to it. ADHD children look just like any other child. But there are struggles early on that does not go away as the child grows. My son just entered grade one this year and he has many years of struggle ahead of him navigating the school system that I know will fail him. 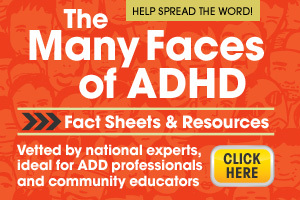 I am advocating for my child the best I can but I feel there needs to be more teachers that are trained and most importantly educated about ADHD. These kids deserve the same opportunities as their peers but they are often mislabeled as lazy, unwilling, mischievous children. I hope to spread awareness at schools.